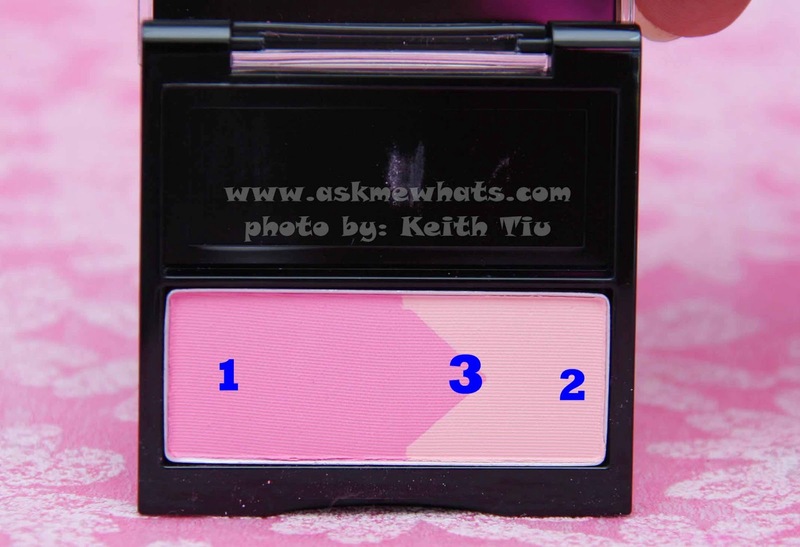 AMW Reviews: Maybelline Blush Studio Blush 'Em! Happy Wednesday everyone! Today, I am finally sharing a review on the most recent blush I got! It's really tiny and I believe it's the tiniest full size powder blush I own to date! When Maybelline came out with their Clear Smooth Minerals Blush, I am quite amazed with the good quality of the said blush and so far, I still haven't hit the pan and I haven't been looking at their other blushes ever since as I'm quite happy with what I have. Now, they came up with something new, Blush Studio Blush 'Em! It's housed in a super tiny square packaging that can be mistaken as an eyeshadow, we'll see how good this new blush is! The size of the blush is the same size as the free brush. A fashionable flush that perfectly blends with skin! Professional dual color blush for easy application. 4 different shades to match your casual and sophisticated look day and night. Tiny packaging, easy to tote for travel. 04 I Love Pink! is a gorgeous light pink shade giving a nice overall glow. The pink shade doesn't look fake. Gives a natural blush. The shade can be adjusted in 3 ways. The free brush is a bit difficult to use and may create blush streaks if not applied or blended properly. The blush area is too tiny. Doesn't last, retouching is needed. A unique combination of pinks giving a natural pinkish glow. Pigmentation is good but not long lasting so retouching is needed. Apply a cream blush or blush tint underneath for blush to stay longer. Use your choice of blush brush for a more natural look. If you prefer to use the free brush, buff the blush powder using circular motion to prevent streaks. Different shade, yes but for personal use. Young individuals starting on makeup. The blush shade 04 in I Love Pink! works well for fair to medium skin. Darker skin tone may try other shades as this may not show up. Priced at Php379.00 (approx $9.47) available at local Maybelline counters nationwide. Shade 04 I Love Pink! I prefer mixing both shades as it looks more natural on my skin. The free brush is small as seen against my cheeks, but it can still be used if you don't have any other brushes with you. It is very important to gently buff and swirl the product for a more natural finish. AMW wearing only Revlon Age Defying Face Powder and lipstick. Have you seen Maybelline Blush Studio Blush 'Em! around? How do you like the shade 04 on me? Issa cute nga, and the shade is cute so kahit small, keri lang sa pag gamit! The colour is so pretty! Too bad it doesn't last longer on the cheeks. Yeah, but it's okay! I don't mind re-applying blush powders! It's tinnnyy! I didn't think there'd be a brush inside. I'll pass on this one.